For the past three years, my husband and me have cut down on going to cinemas to a great extent. The reason being less to do with our interest in movies and more to do with the presence of the junior. Now we have seen people bring their infants and toddlers to theater, but we never had an inclination to do so. For most of the folks we saw bringing young children neither enjoyed the movie fully nor let others enjoy. In many cases, both spouses ended up seeing parts of the movie, separately (maybe living up to the adage that together they make a whole!). So for us, cinema time was only when the grandparents came visiting, or we went visiting them, so that the sonny could happily be with them and not miss us while we enjoyed some ‘us’ time. For three years we successfully refrained from taking S to the cinemas, but today temptation finally caught up with us. It was Sandra Bullock, George Clooney and the space in 3D! The pull of Gravity for just too much to handle for my husband and for me. He being a NASA fan, waved away all my apprehensions about taking S with us, saying at worst we will have to come out of the cinema hall halfway through the movie, and that’s OK. And feeling bored as I was, I gave in easily. So tickets were booked and we were all set to take S to his first cinema experience. We told him that we will be going in a rocket to see the sun, moon, stars and the galaxies, and he eagerly trudged along! The experience started off pretty well, I must say. Contrary to my fears, he liked the ‘big tv’ and the loud noise. He was happy to see Bullock and Clooney space-walking in their white suits and head gear. For the initial 30 to 45 mins, he enjoyed. And then it started – “Let’s go home, let’s go home…”. Thankfully the interval came and we stepped out for a small snack. However, the post interval session didn’t go as good. Within minutes of lights dimming down, he started crying and whining. Thankfully the theater was relatively empty and post interval we had sat away from other audience, not wanting to disturb them with S’s whines. Still, his restlessness only grew and neither the nachos nor the juice we got for him took his mind off from the “Let’s go down” strain, which had now become his only and constant refrain. So with no choice left, we left Sandra alone in the ISS, hoping to make contact with Houston… and exited the cinema hall. On hindsight, I should have seen it coming. The kiddo didn’t sleep in the afternoon today, and was actually feeling sleepy when we reached the cinema. And the long silences and hushed dialog were never going to be something that would appeal to a three year old. I probably should have stuck with my decision to give him his first cinema experience with an animation movie. However, after coming back home, he did talk about how the ‘aunty’ kept rolling over and over in the sky! So maybe it was just that the timing was not right. Whatever be the case, I don’t think I am going to be taking him to the cinema hall anytime soon again. Not until it is an animation movie that features trains, trains and a lot of trains (OK, cars, planes and helicopters would also do!). Till then, we will have to wait for the grannies to visit before we can visit a theater. 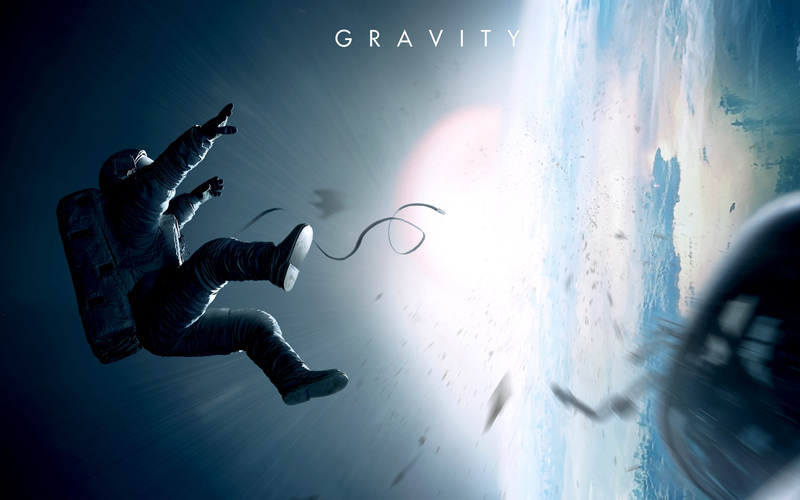 P.S – Do anyone of you know where I can find the last 30 mins of Gravity, apart from the theater, that is? I so loved the movie and not knowing the ending is really making me restless… Maybe I should call my mom over from Chennai for a few days so that I can go and watch the movie to my heart’s content. 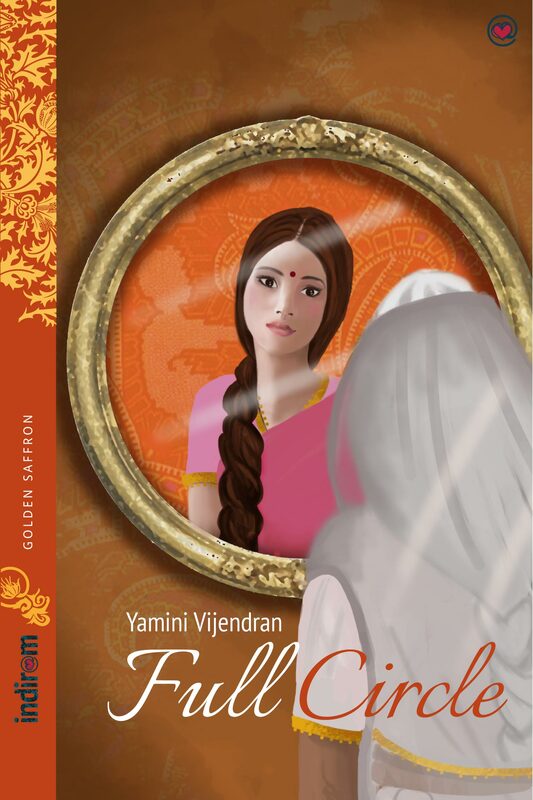 Oh Yamini, I know how it feels. We’ve had quite an “incomplete” experience with our little one and the movies too. Especially the post interval piece. Even we’ve now resorted to going to the movies only when the grandparents are around. I suppose the movies on the big screen are something that need to be introduced slowly and steadily 🙂 I’ll keep a look out for the last 30 minutes. Have to absolutely agree with the earlier comment. My wife and me are yet to go to a movie together after my daughter was born. We both have separately seen movies though and sorely do miss the whole theater experience together. Plus it is a little too early for the last 30 mins of Gravity to be available ‘elsewhere’ 😉 Will keep an eye out for it though. I know Jairam.. just trying my luck :P. The holidays have started now, and S is going to be home full time for the next 10 days. By the time his school starts again, the movie might be out of theaters, going by the thin crowd that was present yesterday. So true Yamini. Selvam and myself haven’t been to theatre for atleast 1 years since Samyu was born. We went for just one movie leaving her behind with my parents. Staying in US now, we don’t even have that option, just watch movies that are on youtube. Thanks to star Vijay for the latest movies with good prints :). Thuppaki was the first movie which we took the kids, when Samyu was almost 4.5 yrs old and she enjoyed her favorite Vijay movie. But Selvam had to stand at the back with Ani. That was the first and last movie we took Ani. I guess 4-5 years is ok, until then it is a no no…. Oh yes, interesting they are! And you know what Suresh, becoming a parent gives you a kind of edge you didn’t know existed. When earlier I would have tut-tutted if a small child was making noise inside the theater, now I don’t give a pence for what others thing 😀 . Atleast not too much anyway :), for we did come out halfway to let others enjoy their movie in peace. Oh Shail, ‘loves’ would be an understatement. All he wants to see are trains on Youtube, trains on TV and trains in real life! and his toy box is overflowing with coaches and engines.